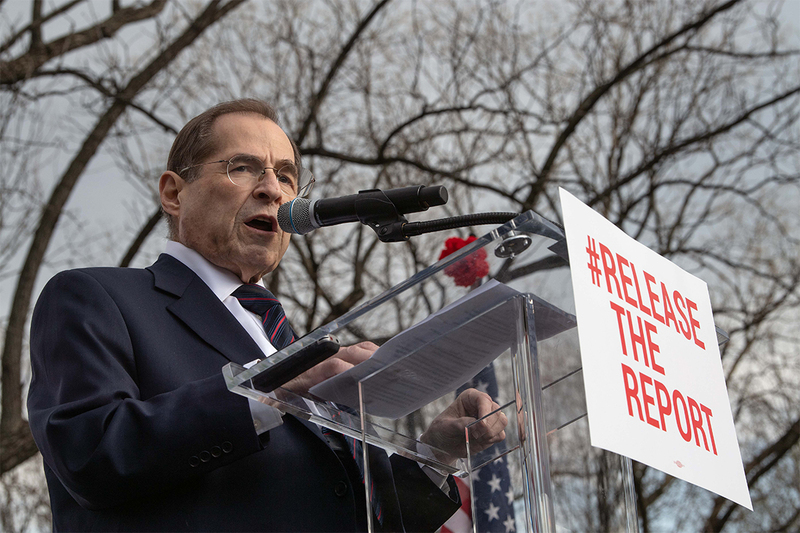 Rep. Jerry Nadler, the Democratic chairman of the House Judiciary Committee, sent a letter to Attorney General William Barr Thursday requesting the public release of summaries of special counsel Robert Mueller’s report prepared by his investigators, as well as all communications between the Justice Department and Mueller’s office about the document. The big news here is that Nadler is demanding, not just the report, but also the communications between Mueller’s team and Barr prior to Barr releasing his whitewash “summary.” In other words, Nadler is virtually accusing Barr of a cover up. I write to you regarding troubling press reports relating to your handling of Special Counsel Mueller’s report, and to urge that you immediately release to the public any “summaries” contained in the report that may have been prepared by the Special Counsel. Here’s Nadler’s letter to Barr in full. The first two House investigations fit neatly in this thread – the five others don’t technically belong here, but I thought it would be impressive to list them all together in the spirit of Maddow’s report and this seemed like a good spot for that. As those five Federal and State investigations progress, I’m sure we’ll be posting about them in the daily threads. If you’re wondering why the U.S. Court in California has become involved, it’s probably due to the Elliott Broidy connection (just my guess). He was a Finance Vice-Chair on the Inaugural Committee and has an office in Los Angeles that was recently raided by the Feds (see the Los Angeles link above for more info). I’ve been down the inaugural rabbit hole a bit, there’s a lot there. Not surprised. So this one is from Buzzfeed News. Still seems fishy, and sketchy, but if true this would be the scenario Barr testified in congress that would be considered Obstruction of Justice. Read this with a grain of salt and remember that Cohen really doesn’t want to go to jail. Too tailor made to what information is already out there. I post this because you may see it on social media and I just wanted to provide a warning. Attorneys for Michael Cohen, President Trump’s former fixer, submitted documents to lawmakers Thursday night accusing Trump and his team of lawyers of instructing Cohen to lie to Congress about when negotiations ended to build a Trump Tower in Moscow. The more than 100 pages of documents included with Cohen’s memo claim to lay bare a “conspiracy to collude” with the Russian government during the campaign, along with an array of other crimes by the president. The memo also for the “first time discloses Michael Cohen’s testimony to the Mueller team and to other non-public testimony to congressional committees,” according to Cohen’s legal team. 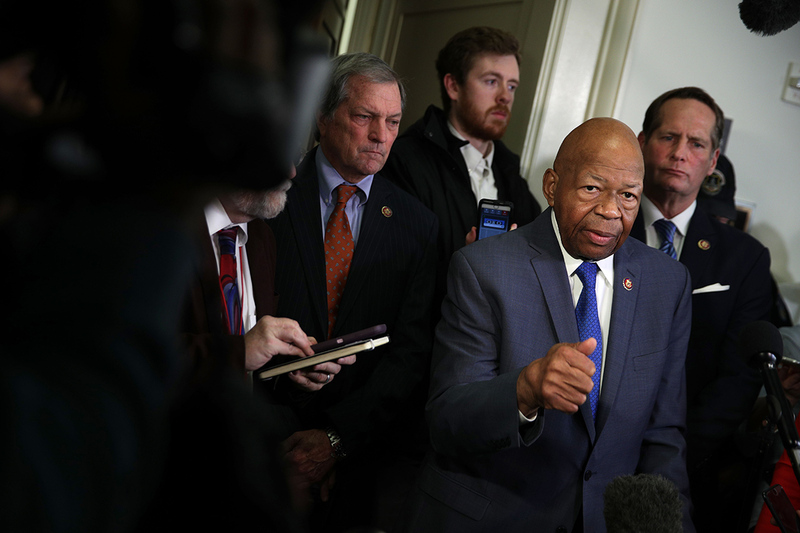 Weird new fight within the House Judiciary Committee, Republicans are arguing that in order for the committee to see the unredacted Mueller report and the underlying evidence, the committee would first have to open an impeachment investigation. Looks like they’re trying to push Dems into making an impeachment play. I don’t think they can do that… Dems should keep making the legislative argument and open a 9/11 style Commission investigation into how to prevent future elections from being perverted. Then Dems can hold the Republicans publically accountable for not addressing this issue sooner. A recent federal court ruling suggests lawmakers need to launch “judicial proceeding” before accessing Mueller's grand jury testimonies. Republicans on the committee say the only “judicial proceeding” Congress can lead is an impeachment inquiry – a claim they say is backed up by legal precedent and history. Democrats would have to launch one against Trump if they want Mueller’s grand jury evidence, Republicans say. 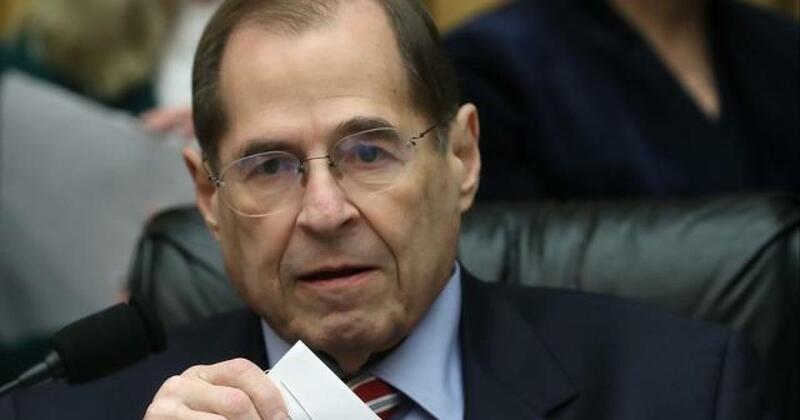 To bolster their case, Judiciary Committee Chairman Jerry Nadler (D-N.Y.) has argued that Congress received access to grand jury material amassed by prosecutors in investigations of Presidents Richard Nixon and Bill Clinton. Ken Starr, the independent counsel who investigated Clinton, turned over a mountain of grand jury material to Congress, Nadler noted earlier this week. 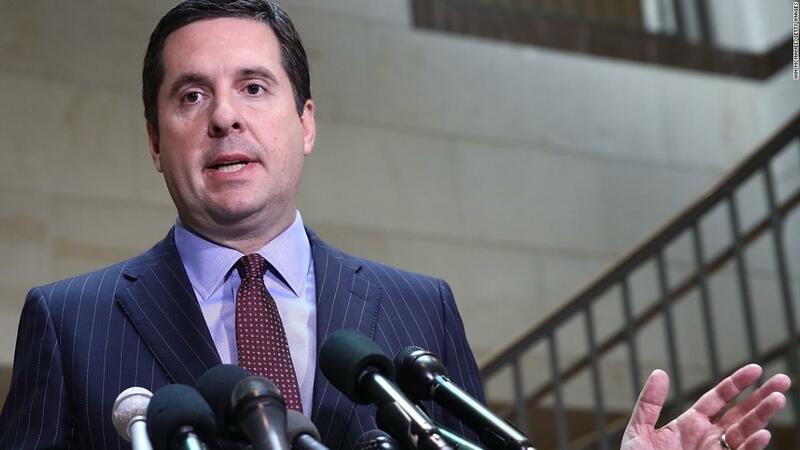 The House Intelligence Committee may have a claim to the information as well, said Barb McQuade, a former U.S. attorney for the Eastern District of Michigan, in a call with reporters. “One of the other exceptions to the grand jury secrecy rule is that an attorney for the government may disclose grand jury material to a federal official whose job includes foreign intelligence work,” she said. 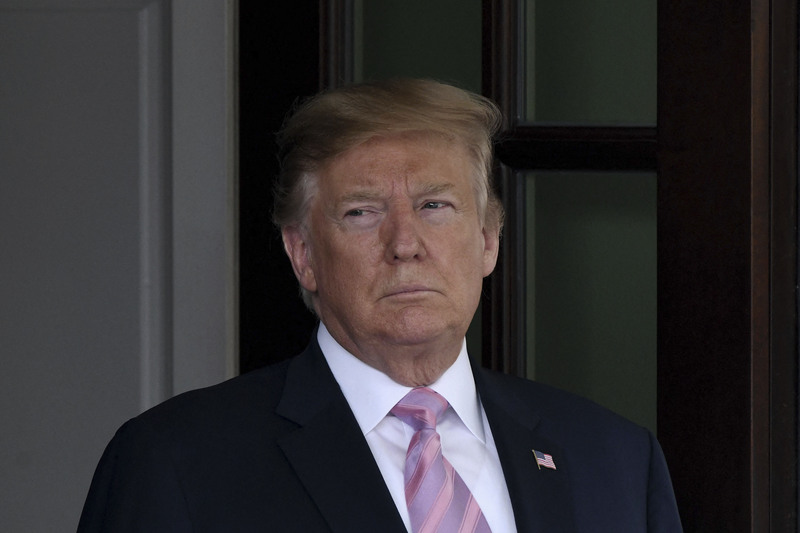 The lawmakers asked Capital One for all documents related to the president’s revocable trust, the Trump Organization, and other subsidiaries of his financial empire. In a March 21 response to the committee leaders, Capital One executive Brent M. Timberlake said the corporation is “preserving the documents and materials,” but could only turn over the information if the committees issue a subpoena. Watch Attorney General Barr Testifies on President’s 2020 Justice Department Budget Request Attorney General William Barr testified before a House Appropriations subcommittee regarding the president’s 2020 budget request for the Justice Department. 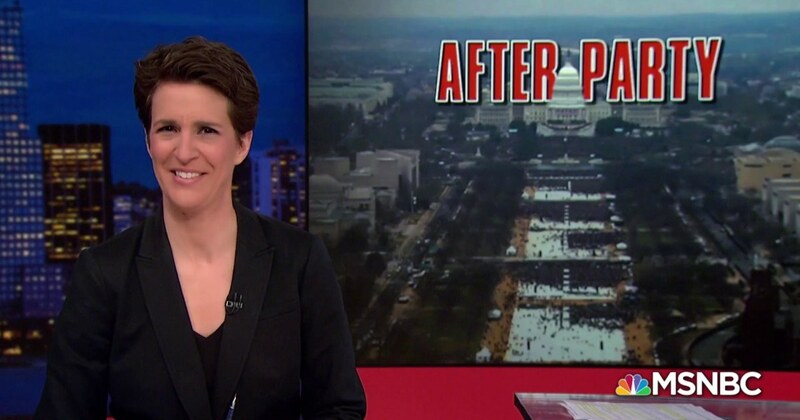 Attorney General Barr was also asked about the Mueller Report. Atty James Baker has been pretty informative about what went down in Justice Dept…He was the one who spoke with Benjamin Wittes a few months back and said the Obstruction was the collusion. I like what I hear from him. Lawfare Blog Benjamin Wittes poses a further question about whether the fact that the President sought to obstruct the Russian Investigation, via firing of Comey, which sent the FBI into another investigation about the President…is indeed at the core of what Mueller must be looking for. Topic header has been updated. “The leadership of the FBI, so the acting director … The heads of the national security apparatus, the national security folks within the FBI, the people that were aware of the underlying investigation and who had been focused on it,” Baker said, running through a list of officials he said were worried that the president may have fired Comey to hinder the Russia investigation. Attorney General William Barr told lawmakers Wednesday that he will be looking to the “genesis” of the the FBI’s counterintelligence investigation into potential ties between members of Donald Trump’s presidential campaign and the Russian government began in 2016, saying, “I think spying on a political campaign is a big deal” – echoing some of the more inflammatory claims lobbed by President Donald Trump for months, but declining to elaborate on his concerns. 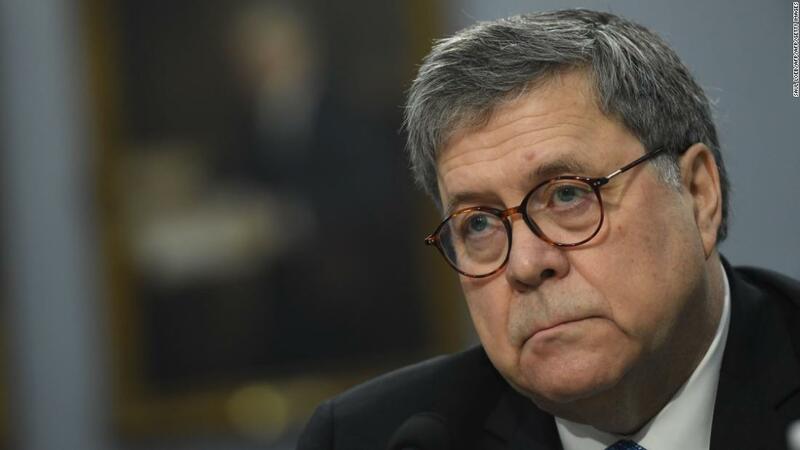 "I think spying did occur," Barr said, though he declined to provide the basis for his concern. "The question is whether it was . . . adequately predicated." James Baker said the talks were meant to discuss the range of possibilities behind Trump's firing of Comey. James Baker, the former top lawyer of the FBI, said senior bureau officials — including at least one deemed to be free of anti-Trump bias — discussed the possibility in May 2017 that President Donald Trump had fired FBI Director James Comey “at the behest of” the Russian government. Baker described a discussion in those turbulent days that he had with Andrew McCabe — who became acting FBI director after Comey’s departure — and the bureau’s top counterintelligence official Bill Priestap, as well as top national security official Carl Ghattas. He also said it was possible that bureau attorney Lisa Page and counterintelligence agent Peter Strzok — whose anti-Trump text messages have drawn attention from Trump and Republicans — attended the meeting as well. 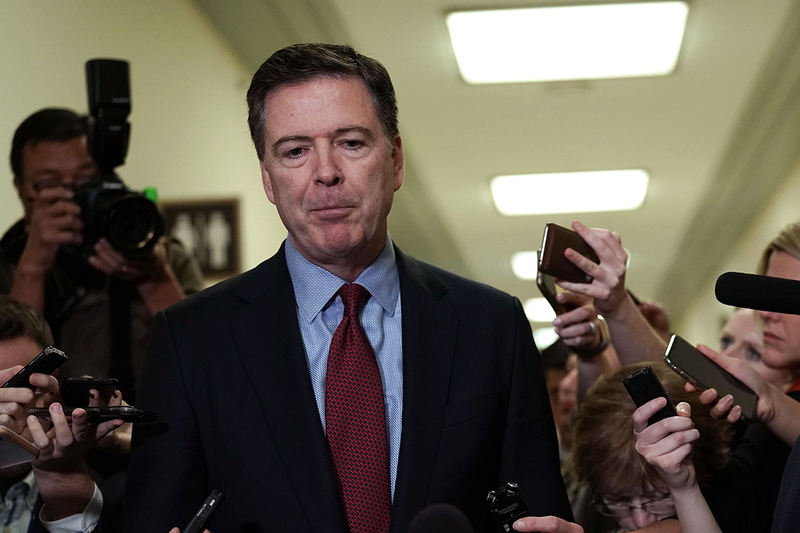 “So there was — there was a discussion between those folks, possibly all of the folks that you’ve identified, about whether or not President Trump had been ordered to fire Jim Comey by the Russian government?” asked Rep. John Ratcliffe (R-Texas), one of the committee members interviewing Baker. Mueller examined whether Trump attempted to obstruct the probe, and Baker’s testimony provides a window into the FBI’s view of that question in the immediate days following Comey’s firing. Mueller, according to a limited excerpt revealed by Barr, declined to reach a “traditional prosecutorial judgment” on whether Trump obstructed justice, but Mueller’s analysis has not been revealed. Baker said the discussion among the top officials was meant to discuss the range of possibilities behind Trump’s firing of Comey. Acting at Russia’s urging “was one extreme,” he said. “The leadership of the FBI, so the acting director … the heads of the national security apparatus, the national security folks within the FBI, the people that were aware of the underlying investigation and who had been focused on it,” Baker said, running through a list of officials he said were worried that the president might have fired Comey to hinder the Russia investigation. @matt is this separate from the IG investigation that will come out later this year? Treasury Secretary Steven Mnuchin is not outright denying the request from Democrats on the House Ways and Means Committee, but he does cast doubt on the legality of the request. The Treasury Department and the Internal Revenue Service will not meet House Democrats’ deadline to turn over President Trump’s past tax returns by Wednesday, escalating what will likely culminate in a legal battle in the investigation into the president’s personal and business finances. Carl Kline will appear before the House Oversight Committee April 23 to explain why he overturned security clearances for the White House. A former White House official accused of overturning denials of security clearance during the Trump administration will appear before the House Oversight Committee on April 23, his lawyer told the panel in a letter Wednesday, despite his counsel’s pleas to postpone his testimony.